… is maybe what goes through your head as One Book, One Philadelphia season approaches. You want to have something to contribute at that discussion group at your neighborhood library, and to have some idea of what they are talking about at that panel discussion. So if you are squeezed for time, would it really be so bad to just watch the movie instead? This One Book season—which features Charles Frazier’s modern classic Cold Mountain, plus two companion titles, Twelve Years a Slave by Solomon Northup and The Civil War by Geoffrey Ward with Ric Burns and Ken Burns—is unique in that ALL these selections have EXCELLENT movie versions. Many Library locations will be hosting viewing parties for the films in February and March. So would it really be so bad to cozy up with some Academy Award nominees ahead of time? What would you miss? I am a book devotee. Rarely do I think a movie does a book justice, and as a rule I really try to read a book before seeing its movie version. But I find myself in the rare position (for me) of having seen the movies Cold Mountain and 12 Years a Slave already, and now diving into the books in anticipation of this One Book season. So I am in a unique position to tell you exactly what you would miss if you skip the book—and I have to say, I don’t recommend doing it! So yes, it is an excellent film, and it helps viewers envision what life looked like during the Civil War. Yet there is somewhat of a detachment from the characters, because you aren’t inside their heads, as you are in the book. This is the type of movie that is perfect to see after reading, because you already feel close to the characters, and you can insert their back stories and ideas into the action—while seeing this world you have gotten to know now come to life. 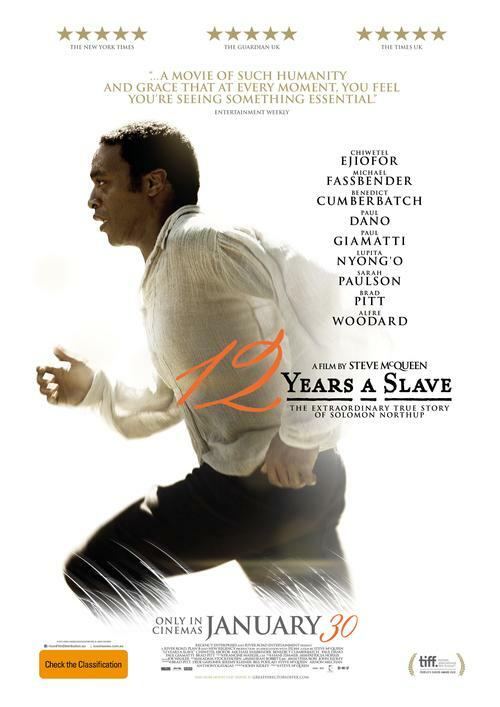 In contrast, reading the book Twelve Years a Slave and seeing the movie 12 Years a Slave are actually two very different experiences. Reading Solomon Northup’s narrative gives you a look into the mind of someone who went through it—his pain, anger, confusion, and humanity. These are the words of a real person, who endured impossible hardship and cruelty and then lived to write it all down for us. And that is the key difference—seeing this film feels like seeing the system of slavery. It gives viewers a searing visual image of this terrible institution; it is sometimes very difficult to watch. The book, on the other hand, feels much more personal. In the book readers encounter, “My wrists and ankles, and the cords of my legs and arms began to swell, burying the rope that bound them into the swollen flesh.” And in reading those words, we work to create an image in our minds that feels impossible. Our mind has to fight to comprehend this account. In the film, you SEE this horrific image—the work has been done for you, and still it is more awful that what you could have imagined. Both words and image pack incredible punches—just different ones. In the end, the goal of One Book is to engage as a community in a collective discussion on issues that touch us all. We believe that words on the page are still the best way to initiate that conversation. But our season is also crafted to open multiple pathways to that discussion—through history, art, food, music, nature, and more. So be it through book, film, internet review, SparkNotes, or just deciding to walk through the door to an event—please do join us in February! 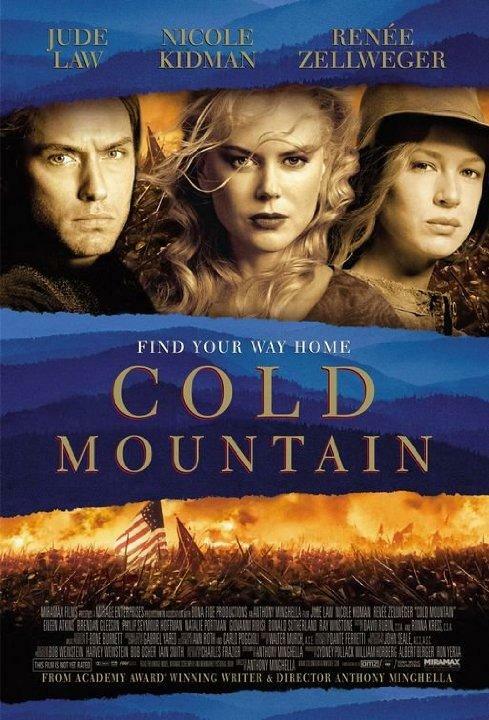 The 2003 hit film Cold Mountain had an all-star cast and was nominated for seven Academy Awards. Winner of the 2013 Best Picture Academy Award, 12 Years a Slave gave viewers a searing visual of what slavery was like. Add a Comment to #OneBookWednesday: Why Not Just Watch the Movie?